Each week on WinCustomize we feature a skin made by one of the creators from our community. We've decided to take that idea a bit further and spotlight the creators themselves! I wanted to start this off with one of our top skinners and long-time member, Tom, also known here as LightStar! He was kind enough to take the time to answer some questions so we could get to know him a little bit more. Can you tell us a bit about yourself and how you got involved in “skinning”? Well, I am originally from Westland, MI, and spent 22 years in the military. I then worked for a local college (where I earned my degree from) as a Computer/Network Technician and then for the State of Indiana as a Director of Technology at a Department of Corrections facility. I was forced to retire early because of a disability I incurred while serving in the military that had progressed to a point where I could not work anymore. While I was still working though, I was at home one night and saw a skin design for Windows XP on the Internet that inspired me to start doing designs on my own. Back then I was developing MSStyle skins for a company called TGTSoft and their StyleXP software, but when Windows 7 came out, the owner decided to shut the business down. 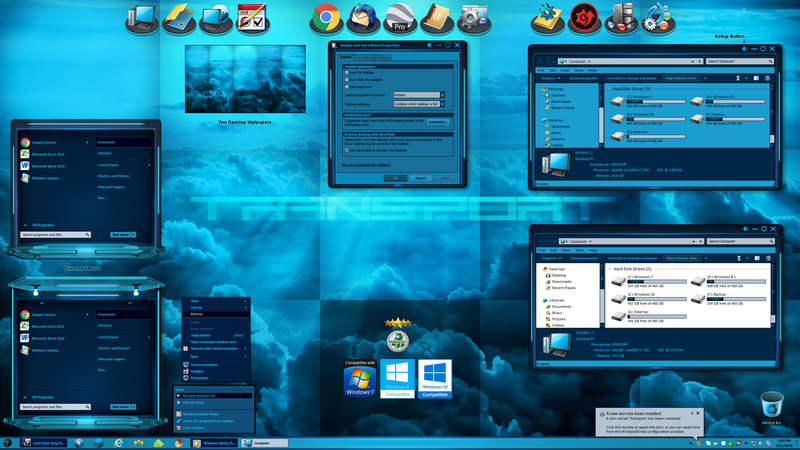 So for a while I continued designing for Windows XP, but soon found out about Stardock’s fantastic WindowBlinds software and decided it was perfect for what I wanted to do and started developing skins for it. At first I did a lot of porting of my prior MSStyle designs to WindowBlinds in order to learn using SkinStudio, and eventually starting developing WindowBlinds skins from scratch, which I continue to do to this day and I truly enjoy it! 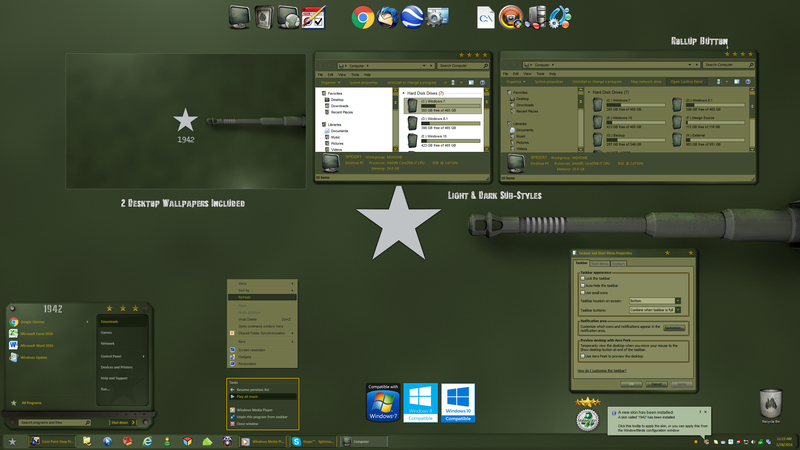 You’ve created an almost countless amount of WindowBlinds skins. Do you have a favorite? To tell you the truth, I have done so many WindowBlinds skins - 272 to be exact - that it would be really hard to pick a single skin. But some of my favorites are my 1942, Art of War, Aurialis, Aztec, Black Sails, Digi Slots, Empire, Flash Punk, Future Life, Medieval and Neon Nights skins, just to name a few. There are so many others too! Could you tell us about your creative process when designing a skin? Do you have a vision of the design beforehand, or does that evolve during the actual design process? Initially I get inspired by something I see, or an idea, it could be anything... just some colors, a shape, etc. From that point the first thing I design is the start menu, after that I work the other areas based on the shape and color of the start menu. I try to do virtually all of my designs to be highly functional, but at times I add a little bit of “glitz”. When completed, I look at all areas of the skin, sometimes down to the per pixel level, and make adjustments as necessary. Before releasing though I have my good friend RedneckDude take a look at the skin, be it a free or Master Skin, to have him check for any issues. 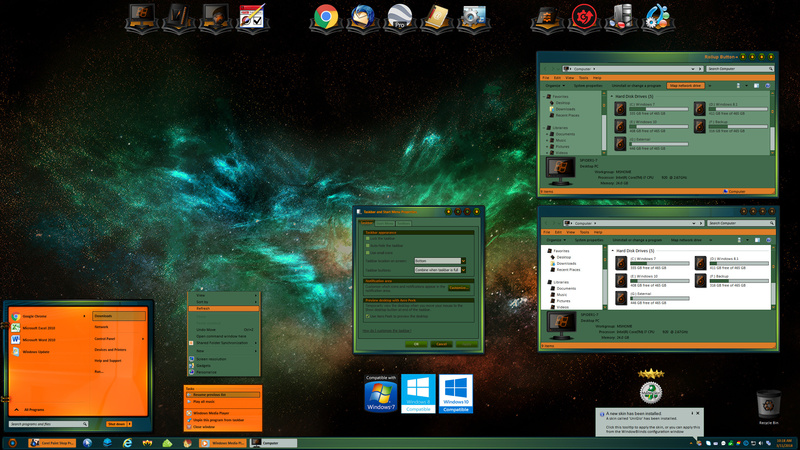 From start to finish, how long does it typically take you to create an entire WindowBlinds skin? It usually takes me anywhere from 40 to 80 hours or more to create a skin initially, and another 4-6 hours , depending on its complexity. I virtually spend most of my day designing, 7 days a week. Skinning obviously takes a good amount of time out of your schedule. Do you have any other hobbies or interests besides skinning? Skinning is pretty well all that I do now, I really enjoy doing it. I used to have a hobby of metal detecting which I also really enjoyed, and I found some really cool things, but due to physical limitations I had to give that up. Other than that, spending time with my family is a must when I can! I also enjoy helping the poor and needy when I can. To tell you the truth, that is where most of my income from selling my Master Skins goes, and it feels so good to help! Thanks for being a valuable member of WinCustomize and for taking the time to speak with us this week! You can see all of LightStar's skins here. Keep an eye out for more member spotlights! Tom, you done good! Mentioning me, I mean....er...lol. No, really, this is a well deserved spotlight. Makes me almost miss RedneckDude's Skinner Spotlight I used to do. Congrats Tom on the nicely written article. Wonderful spotlight and article on a world-class master skinner! A true Master for sure. Congrats on the spotlight Sir Thomas. Thanks so much my friends!